Two months after my most recent surgery I now have the same volume in my tissue expander as I do in my implant. We added 50ccs to the expander, for a total of 450ccs. Even though they are the same, they are uneven. I am at the perfect point to show the difference between the look of expanders versus that of implants. The tissue expanders are hard, sit high up on the chest wall, and have more projection. Implants are soft, pliable, and more natural. Women who have been through the process and had their exchange surgery often say they are disappointed with size. In a 1-to-1 volume swap, the differences between these two types of devices are to blame. Here I am as of today: 450cc tissue expander and 450cc implant (Mentor, round, smooth, high profile, silicone). Can you tell which side is which? The one with the lighter areola is the expander. From the front, they don’t look that much different, but from the side or top you can see that the expander is narrower and sticks out further than the implant. When I was going through the expansion process after my prophylactic mastectomy, I reached my happy point at 400ccs. Having read and heard that women are often disappointed with their size post-exchange, I gave myself a cushion and declared that I wanted 450cc implants. That’s what I ultimately got (took a while to get there, but I’m there) and I’m glad that I decided to do a little extra. I am very happy with the implant size. 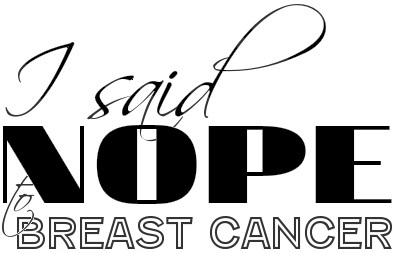 This entry was posted in All, Complication City, Expansions and tagged BRCA, breast reconstruction, HBOC, health, Implant, Mastectomy, Plastic surgery, Previvor, Projection, prophylactic, Tissue expander on June 19, 2014 by nope2BC. Girl what I’ve learned is perfection is hard to come by.